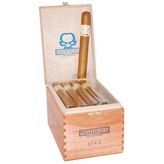 The Asylum Insidious Toro stands apart from all the other offerings in their very notable catalogue. 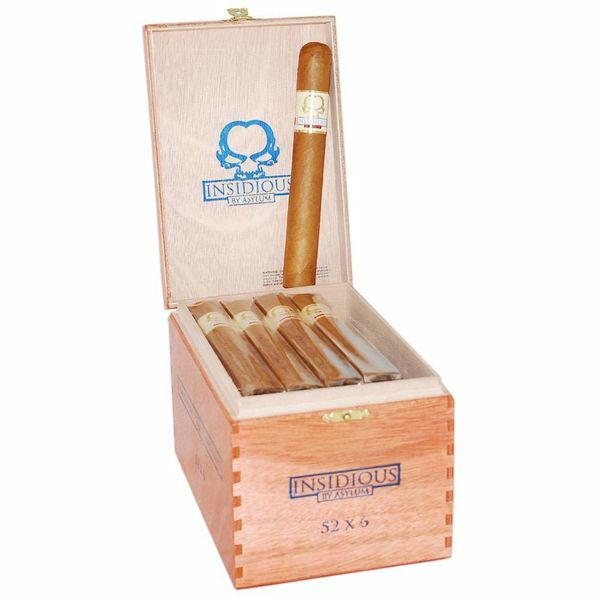 Master Blender Tom Lazuka created this blend to appeal to most any type of cigar smoker, as this style of cigar was previously missing from the Asylum portfolio. The Insidious Toro features an uncharacteristically smooth profile and the first sweetened cap of any Asylum cigar to date. Insidious utilizes the first Ecuadorian Connecticut wrapper leaf of any Asylum release. Smooth and creamy, this wrapper conceals Honduran long-fillers and a Honduran binder, all combined to produce a relaxing, mellow experience.